In modern day football, it can’t be denied that money talks. While fans might not like it and some players might deny it too, one of the motivating factors for today’s players is money, and the world’s biggest clubs – particularly in Europe – are more than willing to pay crazy amounts of it out for the world’s best. So who exactly are Europe’s highest paid players? And which clubs pay the biggest wages out? Some might surprise you, many won’t, but here are the best paid players in Europe’s top leagues. 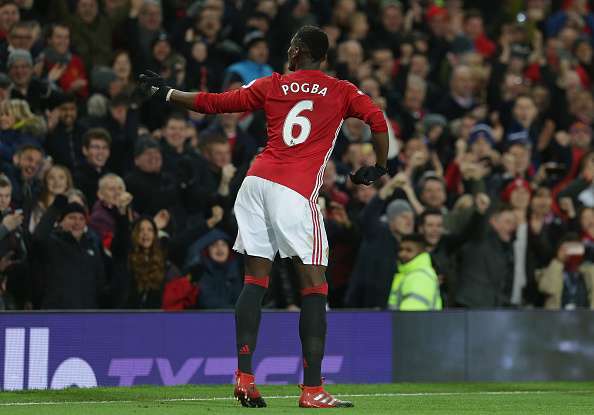 When United broke the bank last summer to bring their former youth star Pogba back from Juventus, they didn’t only break the world record transfer fee by paying £89.3m for him – they also made him into England’s best paid player by offering him 290k a week. Has he been worth the money thus far? It could be argued that he isn’t, but at just 24 years old and on a five-year contract at United, he’s got plenty of time to settle in and prove his worth. After all, he’s only been back in England for eight months. Interestingly enough, despite the two top positions in the Premier League currently occupied by London clubs – Chelsea and Tottenham – and Liverpool in third, it seems like if a player wants money, Manchester is the place to go. Of the top ten paid players in the Premier League, eight of them play for one of the Manchester clubs – Wayne Rooney of United is second with £260k a week, Yaya Toure and Sergio Aguero of Manchester City are on £240k a week and Zlatan Ibrahimovic – United’s other marquee signing last summer – makes £220k a week. The only outliers right now are Eden Hazard of Chelsea and Mesut Ozil of Arsenal, but neither comes close to Pogba’s wage.